Total knee arthroplasty (TKA) is currently the international standard of care for treating degenerative and rheumatologic knee joint disease, as well as certain knee joint fractures. We sought to answer the following three research questions: (1) What is the international variance in primary and revision TKA rates around the world? (2) How do patient demographics (e.g., age, gender) vary internationally? (3) How have the rates of TKA utilization changed over time? The survey included 18 countries with a total population of 755 million, and an estimated 1,324,000 annual primary and revision total knee procedures. Ten national inpatient databases were queried for this study from Canada, the United States, Finland, France, Germany, Italy, the Netherlands, Portugal, Spain, and Switzerland. Inpatient data were also compared with published registry data for eight countries with operating arthroplasty registers (Denmark, England & Wales, Norway, Romania, Scotland, Sweden, Australia, and New Zealand). The average and median rate of primary and revision (combined) total knee replacement was 175 and 149 procedures/100,000 population, respectively, and ranged between 8.8 and 234 procedures/100,000 population. We observed that the procedure rate significantly increased over time for the countries in which historical data were available. The compound annual growth in the incidence of TKA ranged by country from 5.3% (France) to 17% (Portugal). We observed a nearly 27-fold range of TKA utilization rates between the 18 different countries included in the survey. 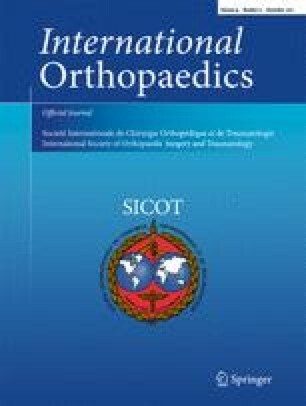 It is apparent from the results of this study that the demand for TKA has risen substantially over the past decade in countries around the world. The authors would like to thank the Ministerio de Sanidad in Spain, the Ministry of Health in Italy, the Central Administration of the Portuguese Health System, and the Jing Gu from the Canadian Institute for Health Information for their assistance with providing data for this study. We further extend special thanks to Diana Dinslage and Gertrud Vierkant for their cooperation and help in creating the export file from the German Destatis database.